"Fliers" are small, postcard-size colored leaflets, having a photo of the singer and/or a cute phrase of love and admiration. In Barcelona, after performances, when singers take their solo bows, such fliers are thrown to the stage by fans to express their devotion. 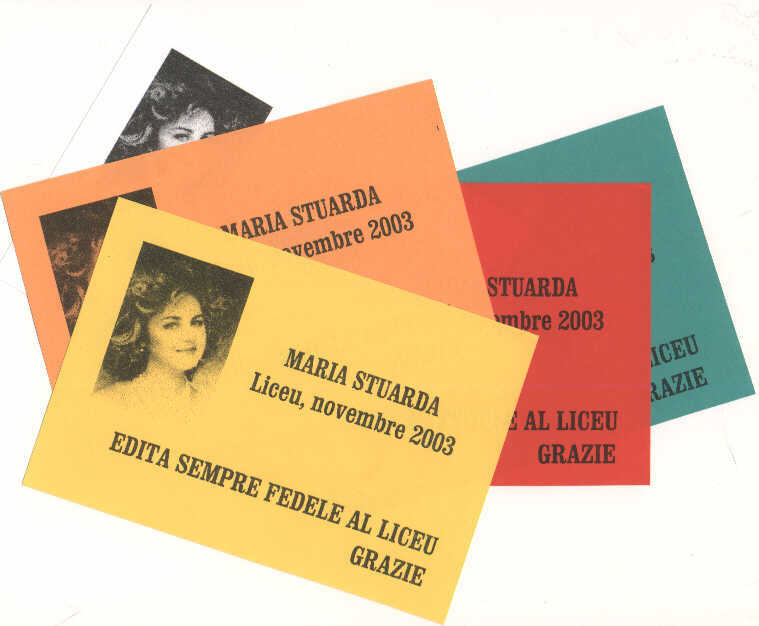 These particular fliers were used on 24-Nov-2003, at the last performance of the "Maria Stuarda" series.